With the 2019 season just around the corner, it’s about time we take a look at the changes in bikes and teams. The first 2019 MotoGP test in less than a week away and we’re already excited about some of the new racing features to come for the year ahead. We will seek multiple factors play a role with the bikes itself and the teams that have been adjusted. Much like we see in Formula 1, it’s almost as if MotoGP is being cured towards better entertainment by forcing the racers to get closer to each other. Although, MotoGP is already a super-close sport, making us wonder what the new changes would introduce. MotoGP is by far one of the most exciting forms of motorsport as we see teams from around the world make the finest tunings to their prototypes and get ahead in the races to come. It’s one of the sports where every tenth of a second counts and where only the very best will do. To some, the changes applied might have an effect on the interesting tunings of each team as the IMU will now become a standard unit for all teams. The IMU is the sensor that communicates with the ECU to tell it at what angle the bike is leaned. Over the years, teams have set these to best suit the rider, and some actually gained and lost with specific tunings. The unit also captures important data, which would allow the teams to apply changes during the race. Now, the director and FIM of MotoGP will be applying a unified IMU that’s used by all teams. This is one of the big changes that ensure to bring closer racing action to the track. It will also increase the competition for all racers, which is sure to make it interesting as everyone would be riding harder and trying to get a lead. Of course, this would mean the tyres won’t last as long, and it could have an effect on teams and when they go in for a pit stop. While we are on the subject of competitive racing, we also see a number of interesting changes to completely alter the season coming up for 2019. 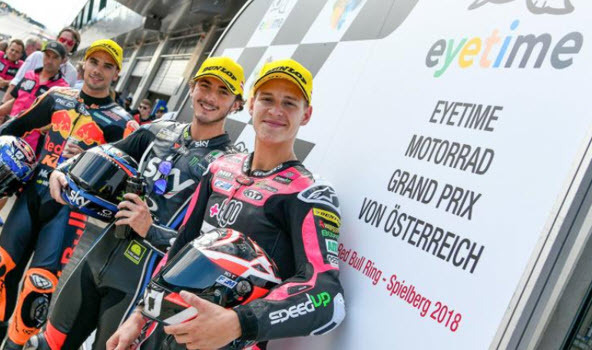 Firstly, we see for new rookies entering MotoGP, which most might just ignore for the first season, but these racers have already proven themselves worthy of a title, making them big news for MotoGP 2019. Keep an eye out for Francesco Bagnaia who joins the Alma Pramac Racing team, Miguel Oliveira who makes his way to the Tech 3 Racing KTM team, Fabio Quartararo who sets in with the Petronas Yamaha SIC team for the first year and finally, Joan Mir who sets in with the Team Suzuki Ecstar. Finally, we also see the SIC (Sepang International Circuit team) taking over the Yamaha Independent Team for 2019, which is a great way to fill the gap that has been left by the Tech 3 team.